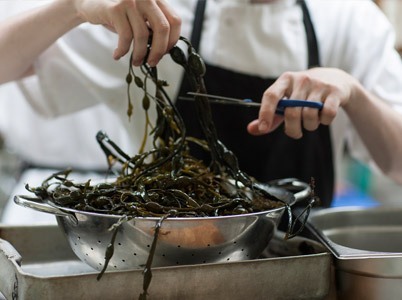 In 2015, Scott left The Adamson and became Head Chef at The Three Chimneys in Skye at the invitation of owners, Shirley and Eddie Spear, spearheading a changing of the guard at their prestigious restaurant. Scott’s clean, pure style has proved to be a wonderful match for the Isle of Skye – where he makes the most of the island’s incredible bounty of produce. With a new-look and settled team now in place, The Three Chimneys has reaffirmed its reputation as one of the most iconic Restaurant with Rooms in the World. Scott has a quiet, but endlessly energetic and highly creative disposition, which means he never rests on his laurels and is always coming up with new ideas and dishes. During the last four years he has carefully forged excellent working relationships with over fifty local and national producers and suppliers. As time goes on, these become more like creative partnership relationships, where new ideas are often triggered by a new ingredient or a suggestion from his collaborators. He has also taken his rightful place on national and international culinary stages, through consistent hard work and imaginative endeavour. Scott and #TeamThreeChimneysSkye created a #HuntEatSleep auction prize which achieved the highest bid at The NSPCC and Great British Chefs Dinner held recently in London’s Guildhall. He was one of five chefs invited by the BBC to take part in a Masterchef: The Professionals Christmas Special and will achieve international recognition when ARTE television’s new Isles of the Queen series launches globally in March 2019. 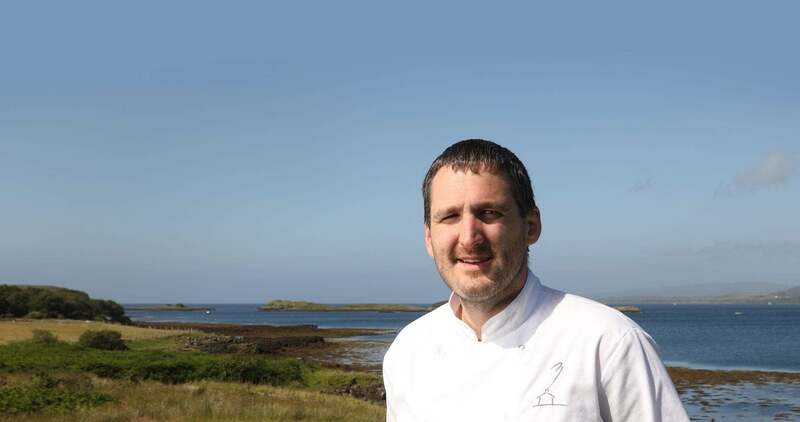 He is the only Chef featured on their episode about Skye, which observes his work as he produces a dish fit for a Queen. 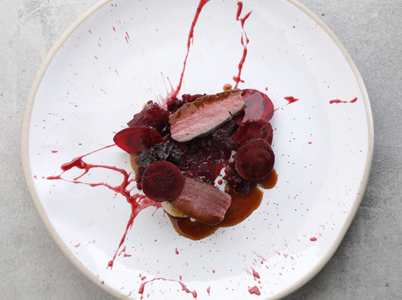 Find out more about Scott by visiting his profile on Great British Chefs. 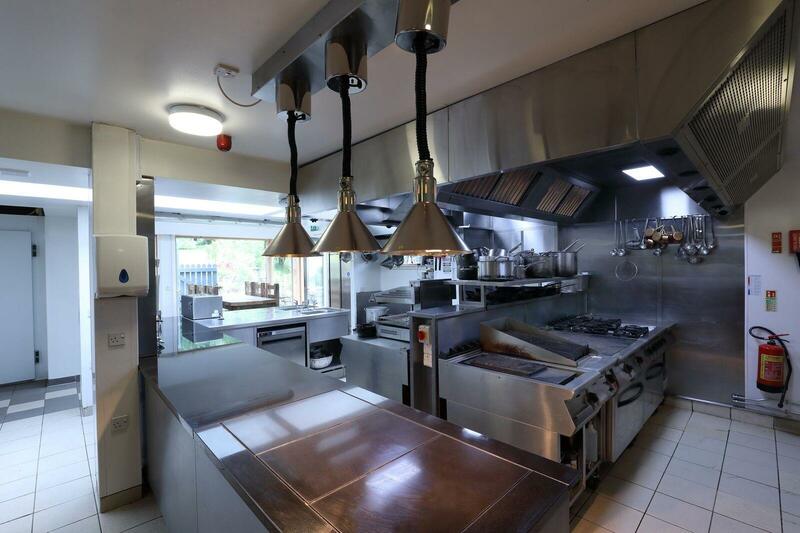 The Three Chimneys Restaurant with Rooms has consistently carried 3 AA Rosettes for the past 20 years. We have been included in the Good Food Guide for 33 years and currently hold a Cooking Score of 7/10. In the 2018 edition of the Guide, we were honoured with recognition as The Editor's Choice, Best Restaurant in the United Kingdom.